W. Cothran “Cot” Campbell, whose Dogwood Stable provided a successful model for making Thoroughbred ownership more attainable and inclusive, died Oct. 27 at his home in Aiken, S.C., according to longtime Dogwood vice president Jack Sadler. He was 91. 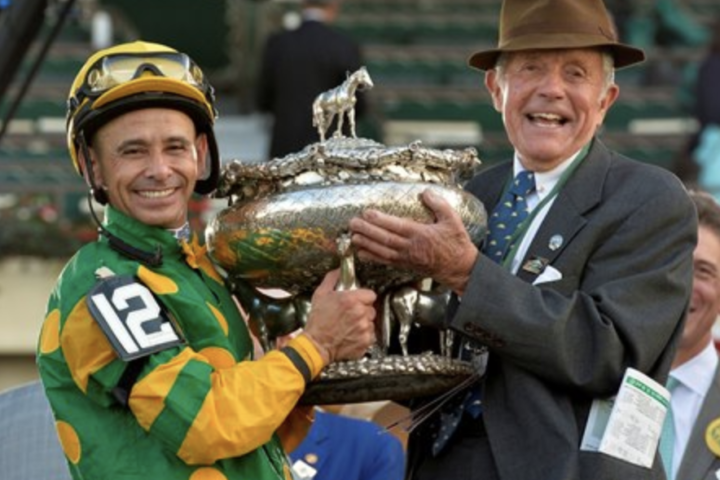 Born Sept. 27, 1927, in New Orleans, Campbell began syndicating racehorses in Georgia in 1969 and created Dogwood Stable as an innovative partnership venture shortly after. Rarely without his jaunty fedora and wry sense of humor, he introduced countless newcomers to the thrills of horse racing, as he pioneered the concept of shared risk and reward—a strategy employed by many who enjoy success at the sport’s upper echelons today. In 1971, Dogwood campaigned Alcibiades Stakes winner Mrs. Cornwallis. The 2-year-old filly thrust the concept of racehorse partnership into the limelight, and Campbell was soon able to abandon his successful advertising agency in Atlanta and New York, going into the horse business full-time. Along with his wife, Anne, he moved the operation to Aiken in 1986, where it flourished. Dogwood produced more than 80 stakes winners, including 1990 Preakness Stakes (G1) victor Summer Squall, who went on to sire dual classic winner Charismatic and Dogwood’s 1996 Breeders’ Cup Juvenile Fillies (G1) winner Storm Song, the champion juvenile filly of her season. Palace Malice delivered Dogwood’s second victory in the Triple Crown series when he won the 2013 Belmont Stakes (G1). In addition to Dogwood’s accomplishments on the flat, it also campaigned 1987 American Steeplechase Horse of the Year Inlander. A beloved member of the Aiken community, Campbell was named Greater Aiken Chamber of Commerce Man of the Year in 2006 and the Aiken Standard Person of the Year in 2003. He was inducted into the South Carolina Athletic Hall of Fame in 2007.